In the mood for a delicious summer meal, but don’t want to wait until June? 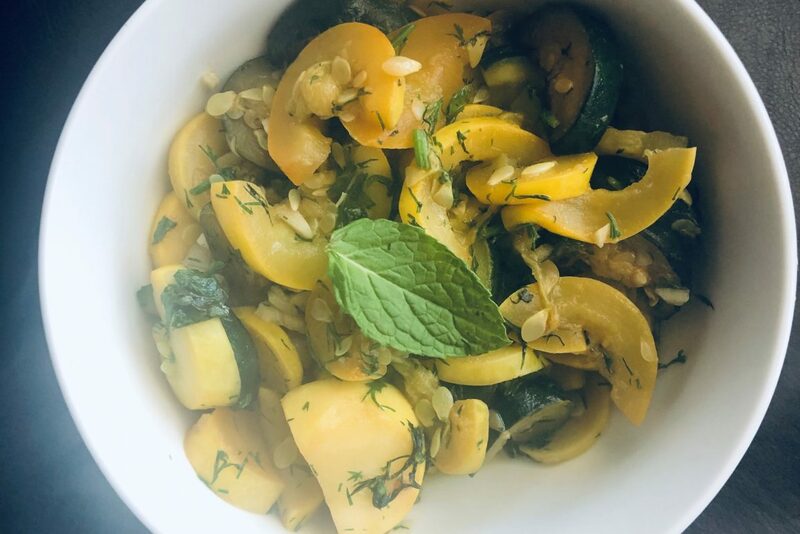 Try this quick squash side, prepared by Attune Health nutritionist Natalie Fortune! In a medium skillet (I recommend a cast iron skillet), heat avocado oil over medium heat. When the oil is hot, add the zucchini slices. Don’t stir them right away, allow the zucchini to caramelize for a few minutes and then stir. Repeat in this manner until the zucchini are fulling cooked and browned. At this point, add in the minced garlic and fresh herbs. Stir for one minute until the garlic becomes fragrant. Squeeze in the lemon juice just before serving.